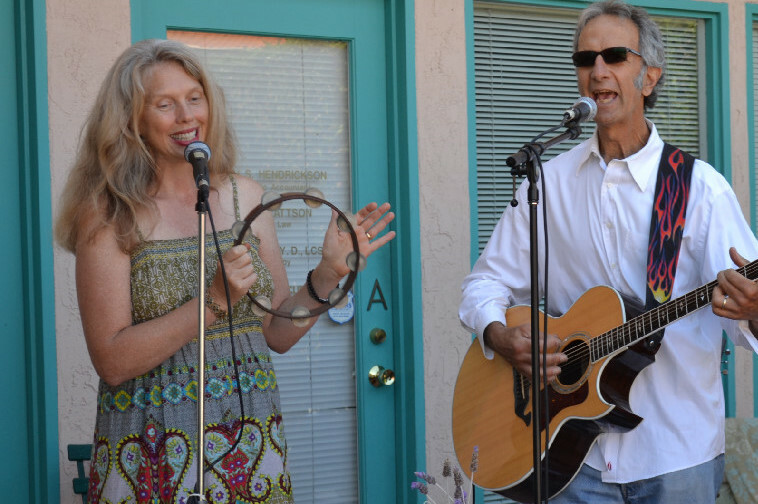 At Sweet Orange Studio we’re members of the Mission Hills Artists– a collective of local artists dedicated to promoting the expression of creative talent. For the musicians, designers and many visual artists who belong, having organized events to share these gifts and make new friends is invaluable. As a voice actor, every other form of vocal expression (be it theater, film, television, song or spoken word) brings more authenticity to my delivery. 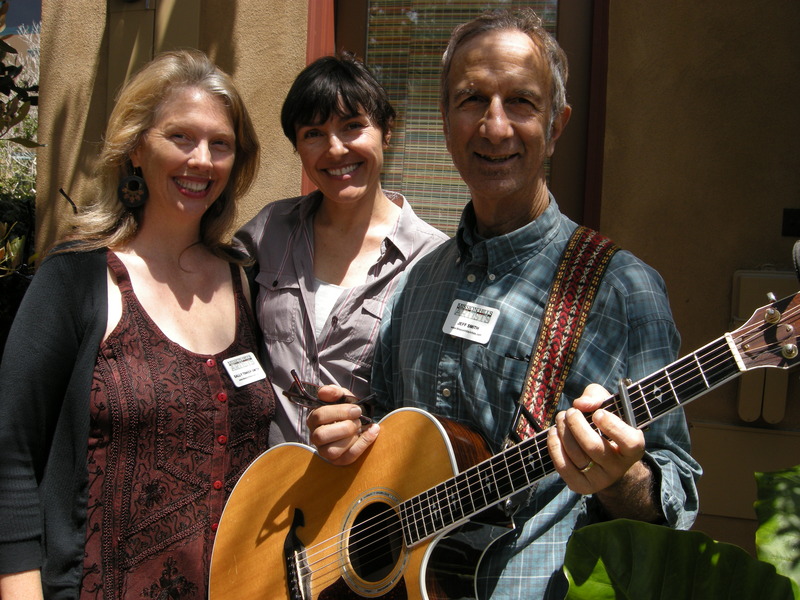 Our friends Neil and Judy opened their garden for the 14th annual Mission Hills Garden Walk this weekend, with music by Tinkersmith (that’s us) and Mara Cooper. Sharon Plache and Stephanie West have been great facilitators for this young organization, sharing their gifts for public relations, community building and inspired art-making. Being on stage or on-camera ups the ante. It means I work harder, staying true to intentions of the writer while searching for meaning in the song or script that stirs my soul. For every moment of real feeling on the stage there is a response, an invisible current of connection, streaming back to me. Stanislavski says an actor should “freshen up even a well-prepared role every time he creates it.” Constantin Stanislavski shared so much wisdom for actors that truly stands the test of time, like “Time is a splendid filter for our remembered feelings – besides it is a great artist. It not only purifies, it also transmutes even painfully realistic memories into poetry.” Professor Katie Rodda introduced us to Mr. Stanislavski and has encouraged us as performers in countless ways. Relaxing into these new environments, singing and acting, and bringing in my 10,000 hours of practice at the microphone, I’m preparing myself for storytelling in whatever form is needed. Personal stories are key for transformation and I’m interested to see which stories I’m called upon to bring into the world next. The annual Mission Hills Garden Walk is coming up on Mother’s Day weekend. 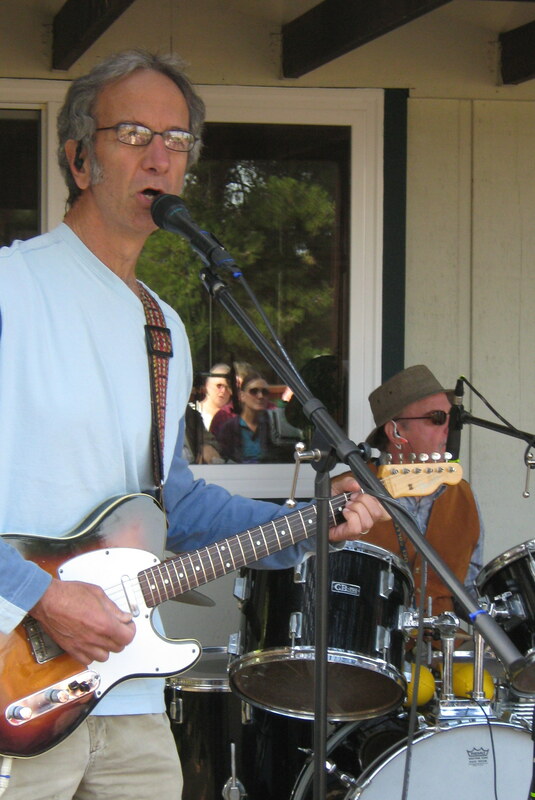 On Saturday May 12 we’ll be tucked into a garden along the route, sharing some roots music around lunchtime. Our fellow Mission Hills Artists will be painting “plein air” at the Mission Hills Nursery and sharing more art and beautiful harp music in the gardens. 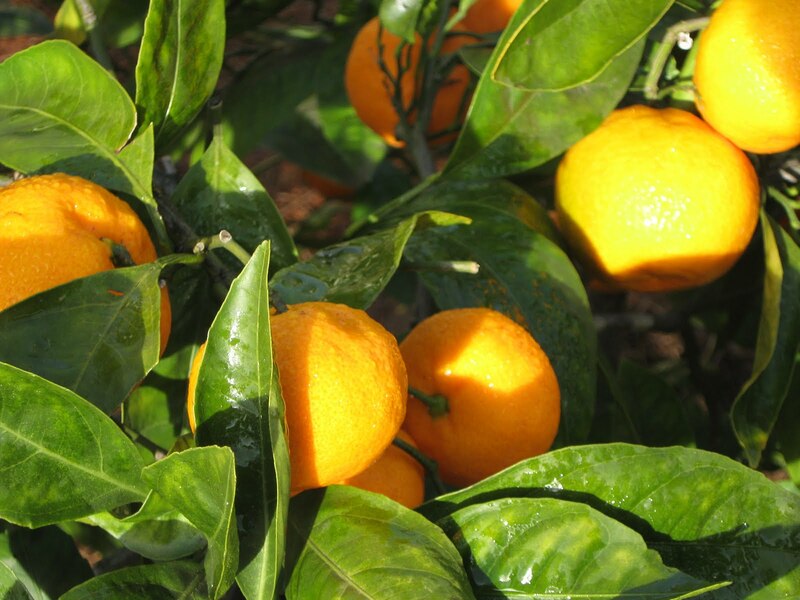 The tangerines are happy in our garden this morning. 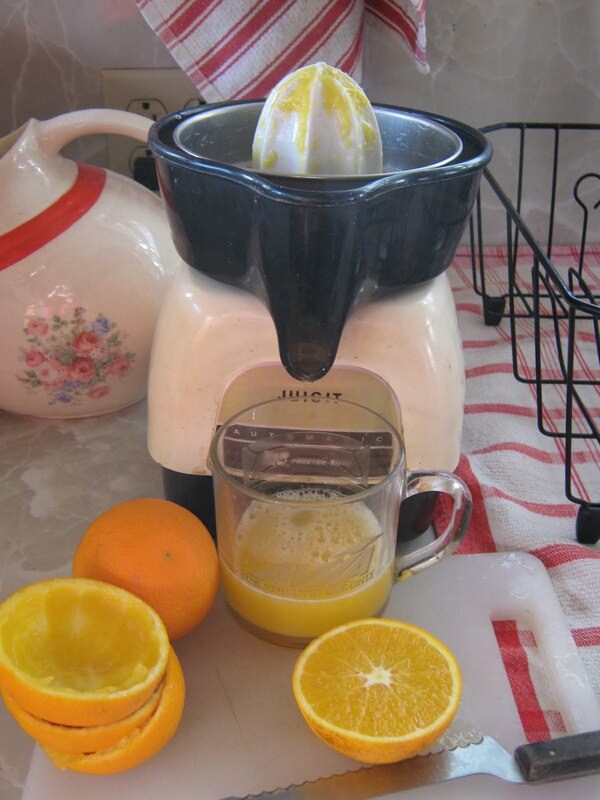 We’re juicing a lot of Navel oranges too. Everything is thriving, now that the rains have moved through and the sun is back to give them life. When I was living in the Pacific Northwest, working full time in Telecommunications, leading sustainability discussion groups, and beginning the life of a creative freelancer… I wanted to find a business name that would fit whatever direction I might stretch into. I like to write. I enjoy working with my voice. I’m thoroughly fascinated by the art of letterpress and hand-bound books. I like to work with beads and wire. At the time, I was into arranging flowers from the garden and even did a semi-commercial Mother’s Day floral operation one year. I took my inspiration from a pottery business called Butter Bean. Something with a wonderful scent and great graphic possibilities would be a nice naming direction, I thought to myself. I considered Vanilla Bean, Pomegranate, Persimmon… all lovely and calling up rich images from the natural world. I settled on Sweet Orange Productions back in 1998, with not an orange tree in sight! Maybe it was a premonition, maybe it was an intention forming, maybe it was California calling me home, but I could not have fully imagined that I would now be living in Southern California, blissfully married and growing citrus in my own garden at the edge of a canyon, behind our 1915 Craftsman Bungalow. Home Sweet Orange.